Summertime is loaded with festivities in the Netherlands so there's definitely never a shortage of things to do. I've actually missed a lot of the events already since I just got back from spending 3 weeks in the US. But there's plenty more to enjoy. I thought rather than just writing about events after they happen I'd try to keep y'all updated on cool stuff going on in the neighborhood before it happens... that way you can enjoy it too. As you may or may not know, there are two cities I call home. The first is the Hague (Den Haag), the Netherlands, where I spend the majority of my time because that's where my job is. My secondary residence (hopefully someday my first) is Paris. This is because my hubby's works in a suburb of the city, and Den Haag to Paris is way too long of a commute. We therefore have a teeny little Parisian apartment, and we take turns "visiting" each other on the weekends. It makes for a tough relationship, but hey, how many people can say they weekend in Paris? I'll save the details for another post. Let's get on to the subject at hand and get you up to speed on upcoming events in Holland, or more specifically the Hague and surrounding areas. What's better than cruising the scenic Dutch canals? Wining and dining on the canals of course. 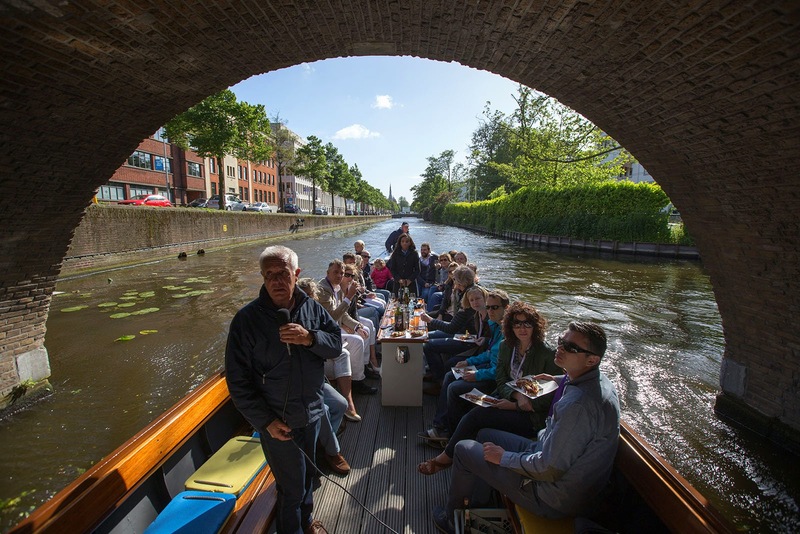 For 55 euros per person you can take a dinner or lunch cruise throughout the city's waterways and enjoy a small feast from one of the area's best chefs and restaurants, including the Michelin star restaurant Niven. Luckily for us expats, Friday's crusises will be done in English. If you miss the event in the Hague, there are future events cruises planned for Amsterdam and Leiden. There are just a few spots left for this weekend so best hurry and book! Another favorite of the Hague Festivals is the long standing Festival Classique. 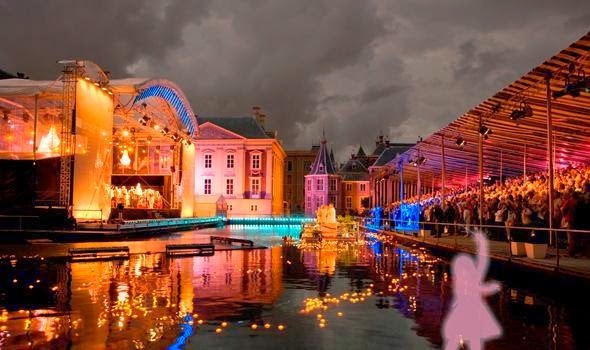 Every year it brings a series of both free and paid classical music concerts and events to locations throughout The Hague. It's a great family event with several concerts and workshops geared toward children, even babies. I've always wanted to attend Hét Hofvijverconcert. A special stage is erected over the Hofvijver body of water next to the Binnenhof in the center of the city. The concert is usually done in conjunction with some other performing artists such as acrobats or dancers. It's an impressive scene. I can't tell you how many times I've walked by while the concert was taking place and said to my self.. "next year I'll get tickets" But Alas, I will be out of town and miss it yet again. Find the entire schedule of events here. ParkPop is an enormous free outdoor music festival that takes place in the Zuiderpark in the Hague. Past performers have included The Bangles, Sheryl Crow, Robbie Williams, Sinead O'Connor and Kelis. This year Jonny Lang would be my pick for the artist to see. It's on Sunday, June 22nd and starts at 13:00, but you should probably get there early to score a good spot. 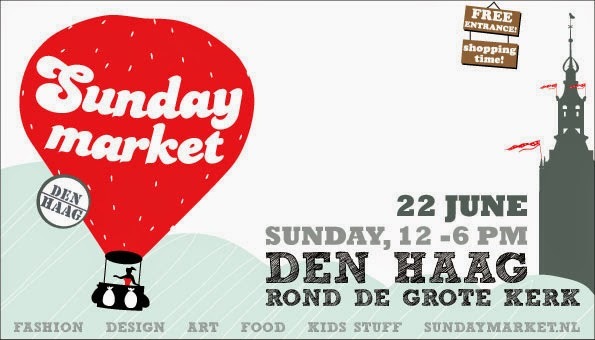 Next Sunday, Amsterdam's answer to London's Camden Yard Markets comes to the Hague. The market features everything from art and fashion to fresh produce. And what market would be complete without yummy food stalls? It takes place on 22 June from 12:00 to 18:00 around the Grote Kerk. As you're probably aware, the first Dutch World Cup match is this Friday against the defending champion Spain (who beat us in the finals - in case you may have forgotten). So don't forget to get out there and support the Oranje. I'm going to miss it unfortunately, but I have a good excuse... it's my first wedding anniversary! So the hubby has something secret planned. If you're wondering where you can watch your home team play.. in style and class, Hotel Des Indes will be showing the games for expat supporters. My Team's (USA) schedule is below, and they will be offering an "American inspired" cocktail for 5 euros. Contact the hotel at +31 70 361 2345 or events.thehague@luxurycollection.com to see if they will be playing your team's match. They ask that you make a reservation if you have 10 or more people. Wow that is quite the commute!! Sounds a bit rough, though I guess getting to split your time between two awesome cities has its perks! Didn't know about the food & boat tours, off to look into that right now, thanks! Did you end up doing the canal boat cruise? It is a very interesting article about this unusual and incredibly fun event. Your photos look very nice.